Service, it’s what we do at Frontier Home Products & Design Center, the showroom of Frontier Lumber. Frontier Lumber Opened its doors in 1945, that’s over 70 years of service to the Erie Community. The showroom at Frontier Home Products & Design Center offers samplings from our top lines, Windows and Fireplaces to Decking and Railing. Have questions? Frontier is the place to go, stop in and see our design team to make your dreams a reality. Whether you’re the diehard do-it-yourselfer just looking for product or a home owner needing the whole nine yards installed, we’re able to deliver. Or maybe you’re a contractor with a customer that needs to see samples before committing, send them in, we’ll show them the possibilities and send them back to you. So, whether you’re a Contractor, a Do-It-Yourselfer, or just a Home Owner wanting to get some work done Frontier is your Design Center. We have Windows & Doors from Marvin®, Lincoln and Atrium®. Decking and Railing from TimberTech® & AZEK® as well as Color Guard® Railing and Napoleon® Fireplaces on display, all with plenty of colors and styles to choose from. Speak with one of our design experts about what we can do for you. Looking for a simple deck or an addition, maybe a garage, pole barn or a new home design, whatever the project we are able to help make it a reality. If you are inspired to bring your dreams to life but don’t have the technical know-how to do so, bring those dreams, sketches and ideas in and talk to one of our designers. Our highly skilled dream weavers will help bring your designs to a code-compliant reality with blueprints, material lists, and craftsmen to help get the job done right. 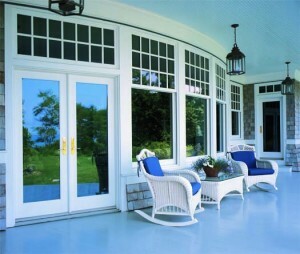 Windows and doors are the focal point of every home. They must strike the perfect balance between elegance and energy efficiency. With our wide variety of color, style, brand, and design options in windows and doors, your perfect match is just waiting for you. Are you unsure of what will work best in your home? Our experienced design staff is ready to help you every step of the way from picking out colors to exploring various design options. Be sure to stop into our show room and explore our many window displays. For More Information on the Premium Composite, PVC or Capped Polymer Decking from the Manufactures themselves, click on this image. 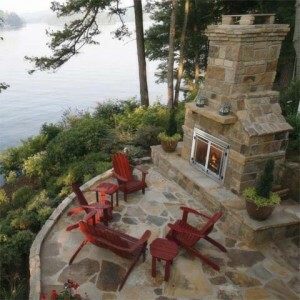 Are you ready to create the outdoor living space you have always dreamed of? Our deck and outdoor living design experts at Frontier Home Products & Design Center are ready to get you started. 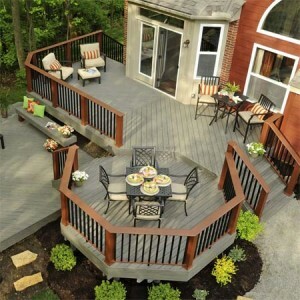 No deck is complete without the finishing touches, though. From gorgeous lighting options to elegant railing packages the options are limitless and all at your disposal. Is your kitchen in need of an update? Are you unsure of where to start on a new-home kitchen design? At Frontier Home Products and Design Center we have many color and style options to choose from. Also, our experienced sales and design staff is ready to help you through the process from beginning to end. From design ideas, to blueprints, to product selection, we are here for you. Not all fireplaces are created equal and no two fireplace designs should be the same. At Frontier Home Products and Design Center you can walk through our full-room fireplace showcase and imagine the many possibilities for your custom fireplace layout. Choose from EPA Approved natural Wood fire places, Pellet Stoves, direct vent or vent free gas. The possibilities are endless and the end-products truly spectacular. With our gourmet grill line we can help make your outdoor kitchen dreams come to life. 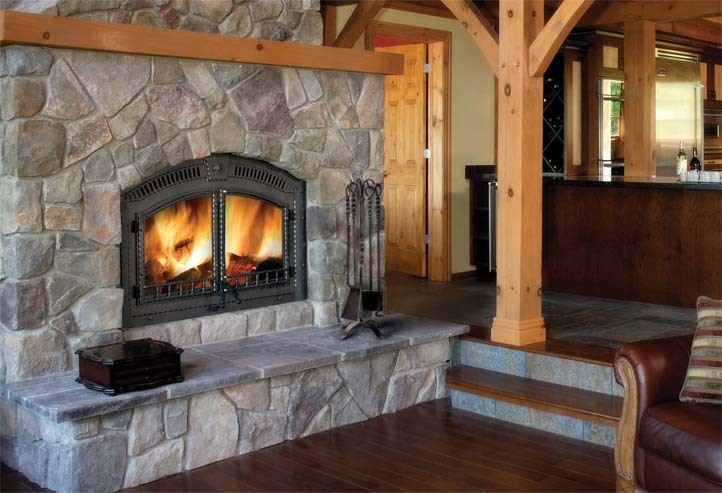 Frontier Fireplace Gallery displays a huge assortment of gas Napoleon fireplaces. Service provided: Sale, Service of Gas Fireplaces as well as installation if requested.